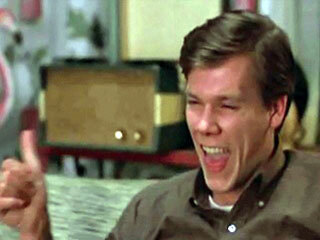 Kevin Bacon played Timothy Fenwick Jr., an expert at "College Bowl" in Barry Levinson's "Diner." College Bowl's presence in popular culture has also been memorialized on the large and small screens. Ed Asner's Lou Grant references College Bowl on "The Mary Tyler Moore Show." In "Diner," Kevin Bacon's character is seen playing along with the program from the comfort of his couch. Later, the plot of 2006's "Starter for 10" is centered around James McAvoy competing in the British version of the show, "University Challenge."